To highlight the importance of data privacy, Congress decreed January 28 as National Data Privacy Day. This day is an annual observance dedicated to increasing awareness about data privacy, the importance of individual privacy rights, and the need to protect personally identifiable information (PII) from improper use and disclosure. Social Security collects and maintains some of the public’s most sensitive PII. We respect the privacy of individuals, safeguard their PII, and maintain the public’s trust in performing these responsibilities – not just on National Data Privacy Day, but every day. 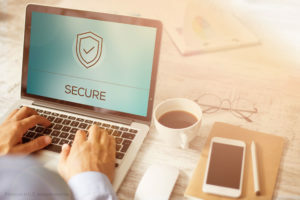 Whether through new online services on the secure my Social Security portal that allow you to review your benefits online, or ensuring information contained in existing paper files are protected, we are constantly reviewing and improving our procedures and policies to ensure protecting PII remains a top priority for our agency. To learn more about Social Security’s privacy program, please visit our Office of Privacy and Disclosure’s webpage. You can also review some practical tips for being privacy smart on the National Data Privacy Day website. This entry was posted in Privacy & Identity by Jim Borland, Acting Deputy Commissioner for Communications. Bookmark the permalink. you are doing for us. I guess having a National Privacy day is nice. It is also meaningless. Even the President is constantly pressured to have the IRS release his data. I was called on my cell and actually left a message to return the call that they where shutting my SS# down because of suspicious reasons ..The message said they were from social security.on Jan.23rd. Thanks for trying to protect the public. How I CAN GET MY SOCIAL SECURITY TOTAL INCOME FOR THE YEAR 2018. Hi there. Thank you for using our blog. You can request a replacement 2018 SSA-1099 or SSA-1042S after February 1 using your my Social Security account. If you do not already have an account, you can create one. Once you are logged in to your account, select the “Replacement Documents” tab. If you are unable to create a my Social Security account or do not want to request the 1099 online, you may call us at 1-800-772-1213 (TTY 1-800-325-0778), Monday through Friday from 7 a.m. to 7 p.m. or you can contact your local Social Security office. I just want to hear when we might be getting a decent increase in payments. I was never wealthy but I really hate having to live in poverty at my age. I lost my retirement investments in 2008 and it has been a struggle. When will Congress remember our generation”s contribution to our country and start repaying back the money they stole from our accounts. Disgraceful. Thanks for letting us know about the latest data breach. I hope this breach has been contained. What really causes ;data breaches’? Is it not possible to permanently do something to stop them? Scammers have their days so also data breaches, when are we going to be free of these attacks? Another attack that are not being addressed concerns official frauds and insentivities of many governments agencies’ officials. Recently I commented on SCAMMERS and I made myself an example of someone that had been scammed by Social Security officials, within 1 (one) second of posting the comment, somebody removed it from my computer and I couldn’t save it. I believe that this fraudulent action was made by someone who believed that his/her mischievous activities are being exposed. How can we stop frauds if the people are ganged up in this way. Somebody or a group of officials forcing forcing their way into your computer and just taking away anything which they consider offensive to them had definitely committed a much greater offense than scammers. Thanks, and I hope this comment will not be taken away too as had happened to many others in the past instead of solving the problems being complained of. I’ve been a victim of identity theft as well as my minor child. It just seems to never stop, I thought they steal your info and then get out of Dodge but not in my case. My credit score is at an all time low due to all the inquiries they do I just recently received a toll ticket from Florida Dept of Trans and I was driving a 18 wheeler, I don’t even have a CDL lisence. Would a new ss number solve this problem? Maybe it’s time state & federal gov’ts HELPED individuals to protect their data by passing AND appropriating funds to ENFORCE data privacy laws. The state & feds could begin by passing laws mandating that only those businesses that need to issue 1099s, etc., can even ASK for SSN#s and NO MORE using the last 4 digits of a SSN# as an identifier. That might help. I’ve had a medical clinic employee tell me I wouldn’t be able to see the provider I had an appointment with if I didn’t provide my SSN#. The only reason health care providers need a SSN# is for debt collection. And most of the data breaches are by health care providers. Yet there is no private cause of action so that individuals can get compensation for the damages they suffer, just a few puny state laws (and the states usually waive at least part of the fine if the provider promises not to do it again! After allowing the provider to do its OWN investigation of its OWN data security practices–how surprising it always is to hear that the provider has a great protection system in place this was just a one off error), and the underfunded understaffed, years of complaint backlogs OCR at the federal level. Unless it’s a major data breach in which case there may be a class action, which again, yields little to nothing for class participants. For a health insurer whose crappy security has made it possible for thousands (or tens of thousands) people’s identifying data to be hacked, their “restitution”? A year, just a year’s subscription to a service that doesn’t even check the big 3 credit reporting corporations. Just one of them. WOW, such GREAT restitution. Non-wealthy individuals can’t negotiate w/anything like an equal balance of power with the increasingly large corporations that demand identifying data from hundreds of thousands of people or collects it without their permission or paying royalties. For the time being, state and the federal gov’t i.e,. Congress, the chief executive branch, CAN. But they’re not, neither of them. Too deep in the pockets of the corporations already, I guess. So this is one stupid blog post from SSA. I’ve given my social security number to an educational institution. But now they want a copy of my card. Am I required to give them a copy of my card? Hi Michael: If someone asks for your number and/or card, you should ask why, how it will be used, and what will happen if you refuse. The answers to these questions can help you decide if you want to give your Social Security number. The decision is yours. Make sure you give your employer and your financial institution(s) your correct Social Security number, so your records and tax information are accurate. See our publication “Your Social Security Number and Card” for more details. I received a voicemail from Officer Ryan Smith saying he’s from the department of social security. He’s saying there is a legal enforcement pacton (not sure what that is?) filed on my SSN for criminal activities and to call him as soon as possible. The call came from Athens, TX. Is this for real? I, Janice Turney, received a call this morning, 2/26/2019, from a 707 number. I called it back and the caller requested my ss#. They said someone was using my account and they (ss) showed I was dead. I asked them to send me a letter regarding the problem. They said they would but needed my ss# to do that. I refused and they hung up. How can I check my account to make sure all is well? Hi, Jan. Thanks for checking in with us. We do not usually make random calls. If anyone receives calls saying that they are from Social Security, do not give out any personal information. Suspicious calls should be reported to the Office of the Inspector General at 1-800-269-0271 or online. You can find additional information here. Thanks, again. I, received a call this morning, 2/26/2019, from a 707 number. I called it back and the caller requested my ss#. They said someone was using my account and they (ss) showed I was dead. I asked them to send me a letter regarding the problem.